Higher Education Research Experience Faculty (HERE-Faculty) program at Oak Ridge National Laboratory, January 2015-April 2017. Consultant to the Electric Power Research Institute Inc. (EPRI) on "DHS IFCL-HTS Cable Evaluation (Department of Homeland Security) Inherently Fault Current Limiting High Temperature Superconducting Cable Evaluation," January - September 2015. 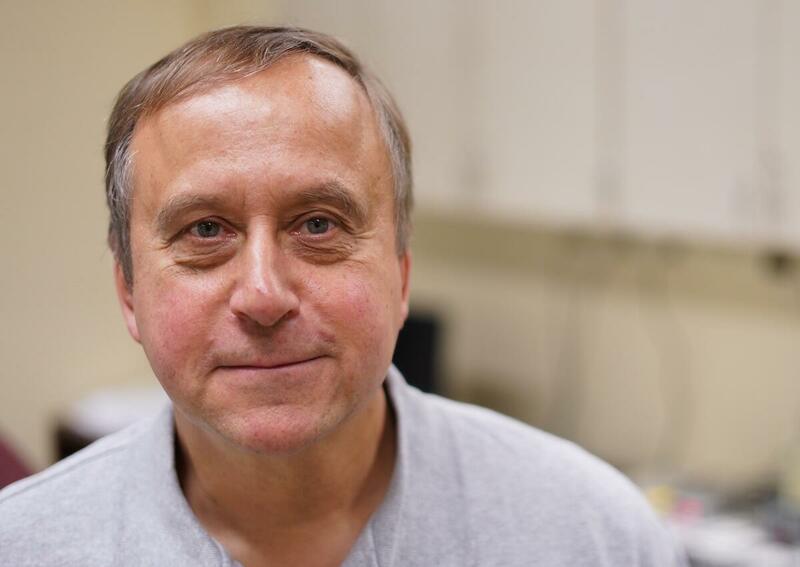 Dr. Demko began his career with General Dynamics/Fort Worth working on the X-30 National Aerospace Plane (NASP) program, as the Thermodynamics Analysis Group lead engineer and Thermal Management team leader. Later at Oak Ridge National Laboratory, he worked on the development of electric power system applications (power cables and transformers) of high-temperature superconductors. He is a member of the American Society of Mechanical Engineers, the International Institute of Refrigeration, ASTM International and the Cryogenic Society of America, where he serves on the Board of Directors. He is a past member of the CEC Board of Directors and was the Vice Program Chair in 2013 and Program Chair in 2015 for the Cryogenic Engineering Conference. He is a registered professional engineer in Texas. Published a book chapter entitled "High Temperature Superconducting Cable Cooling Systems," in "Superconductors in the power grid - Materials and applications," Edited by Christopher M. Rey, Woodhead Publishing series in Energy Number 65 (Also Elsevier Publishers)978. Chapter 8, ISBN 978-78242-029-3, 2015. Published a book chapter entitled, "Practical Design of Cryogenic Current Leads," in "Applied Superconductivity Handbook on Devices and Applications" edited by Paul Seidel, Wiley-VCH Verlag GmbH & Co. KGaA - A company of John Wiley & Sons, Inc. Chapter 5, Volume 2, ISBN 978-3-527-41209-9. 2015. Robert Duckworth, Arnold Lumsdaine, Juergen Rapp, Tom Bjorholm, Jonathan Demko, Dean McGinnis, John Caughman, Rick Goulding, and the MPEX team, "Progress in Magnet Design Activities for the Material Plasma Exposure Experiment," Fusion Engineering and Design, Vol. 124, 2017. J. A. Demko, J. E. Fesmire, W. L. Johnson, and A. M. Swanger, "Cryogenic Insulation Standard Data And Methodologies," Advances in Cryogenic Engineering: Transactions of the Cryogenic Engineering Conference - CEC, American Institute of Physics, Vol. 59A, pp. 463-470, 2014. J. A. Demko, "Experimental Study of Counterflow Cooling Using a Test Loop to Simulate the Thermal Characteristics of a HTS Cable System," Advances in Cryogenic Engineering: Transactions of the Cryogenic Engineering Conference - CEC, American Institute of Physics, Vol. 57A, pp. 283-290, 2012. J. A. Demko (ORNL) and W. V. Hassenzahl (Advanced Energy Analysis), "Liquid Air as a Coolant for Thermal Management of Long-Length HTS Cable Systems," Advances in Cryogenic Engineering: Transactions of the Cryogenic Engineering Conference - CEC, American Institute of Physics, Vol. 57A, pp. 273-289, 2012. D. Knoll, D. Willen, J. Fesmire, W. Johnson, J. Smith, B. Meneghelli, J. Demko, D. George,B. Fowler and P. Huber, "Evaluating Cryostat Performance for Naval Applications," Advances in Cryogenic Engineering: Transactions of the Cryogenic Engineering Conference - CEC, American Institute of Physics, Vol. 57A, pp. 265-272, 2012. J. A. Demko and W. V. Hassenzahl, "Thermal Management of Long-Length HTS Cable Systems," IEEE Transactions on Applied Superconductivity, vol. 21, no. 3, June 2011, pp. 957-960. W.L. Johnson, J.E. Fesmire, J.A. Demko, "Analysis and Testing of Multilayer and Aerogel Insulation Configurations," Advances in Cryogenic Engineering: Transactions of the Cryogenic Engineering Conference - CEC, American Institute of Physics, Vol. 55A, pp. 780-787, 2010. S. White, J.A. Demko, A. Tomich, "Flexible Aerogel as a Superior Thermal Insulation for HTS applications," Advances in Cryogenic Engineering: Transactions of the Cryogenic Engineering Conference - CEC, American Institute of Physics, Vol. 55A, pp. 788-795, 2010. C.M. Rey, R.C. Duckworth, J.A. Demko, D.R. James, M.J. Gouge, "Test Results of a 25-m Prototype Fault Current Limiting HTS Cable for Project Hydra," Advances in Cryogenic Engineering: Transactions of the Cryogenic Engineering Conference - CEC, American Institute of Physics, Vol. 55A, pp. 453-460, 2010. J.A. Demko, R.C. Duckworth, "Cooling Configuration Design Considerations for Long-Length HTS Cables," IEEE Transactions on Applied Superconductivity, Vol. 19, Issue 3, Part 2, June 2009, pp. 1752 - 1755. M.J. Gouge, R.C. Duckworth, J.A. Demko, C.M. Rey, ORNL; D. Willen, C. Thidemann, H. Lentge, J.C. Tolbert, D.L. Lindsay, W.L. Carter, "Testing of 3-meter prototype fault current limiting cables," IEEE Transactions on Applied Superconductivity, Vol. 19, Issue 3, Part 2, June 2009, pp. 1744 - 1747. D.R. James, I. Sauers, A.R. Ellis, E. Tuncer, M.J. Gouge, J.A. Demko, R.C. Duckworth, C.M. Rey, "Qualification High Voltage Testing of Short Triaxial HTS Cables in the Laboratory," IEEE Transactions on Applied Superconductivity, Vol. 19, Issue 3, Part 2, June 2009, pp. 1762 - 1765. J. A. Demko, R. C. Duckworth, M. Roden, and M. Gouge, "Testing Of A Vacuum Insulated Flexible Line With Flowing Liquid Nitrogen During The Loss Of Insulating Vacuum," Advances in Cryogenic Engineering: Transactions of the Cryogenic Engineering Conference - CEC, American Institute of Physics, Vol. 53, pp. 160-167, 2008. J. A. Demko, J. E. Fesmire, S. D. Augustynowicz, "Design Tool For Cryogenic Thermal Insulation Systems," Advances in Cryogenic Engineering: Transactions of the Cryogenic Engineering Conference - CEC, American Institute of Physics, Vol. 53, pp. 145-151, 2008. Isidor Sauers, D. Randy James, Alvin R. Ellis, Enis Tuncer, Marshall O. Pace, M. J. Gouge, J. A. Demko, and D. Lindsay, "High Voltage Testing of a 5-meter Prototype Triaxial HTS Cable," IEEE Transactions on Applied Superconductivity, Vol. 17, Issue 2, Part 2, June 2007, pp. 1734 - 1737. M. J. Gouge, J. A. Demko, R. C. Duckworth, D. T. Lindsay, C. M. Rey, M. L. Roden and J. C. Tolbert, "Testing of an HTS Power Cable Made From YBCO Tapes," IEEE Transactions on Applied Superconductivity, Vol. 17, Issue 2, Part 2, June 2007, pp. 1708 - 1711. J.A. Demko, I Sauers, D.R. James, M.J. Gouge, D. Lindsay, M. Roden, J. Tolbert, D. Willén, C. Træholt, "Triaxial HTS Cable for the AEP Bixby Project," IEEE Transactions on Applied Superconductivity, Vol. 17, Issue 2, Part 2, June 2007, pp. 2047 - 2050. Quan-Sheng Shu, Guanfeng Cheng, Joseph T. Shusta, John R. Hull, James E. Fesmire, Stan D.Augustynowicz, Jonathan A. Demko, and Frank N.Werfel, "Magnetic Levitation Technology and its Applications in Exploration Projects," Cryogenics, Vol. 46, 2006, pp. 105-110. J. A. Demko, R. C. Duckworth, P. W. Fisher, M. J. Gouge, C. M.Rey, M. A. Young, D. Lindsay, M. Roden, J. Tolbert, D. Willen, C. Træholt, C. Thidemann, "Testing Of A Liquid Nitrogen Cooled 5-Meter, 3000 A Tri-Axial High Temperature Superconducting Cable System," Advances in Cryogenic Engineering: Transactions of the Cryogenic Engineering Conference - CEC, Vol. 51A, American Institute of Physics, 2006, pp. 790-797. Quan-Sheng Shu, Guanfeng Cheng, Joseph T. Shusta, John R. Hull, Jonathan A. Demko, Colin P. Britcher, James E. Fesmire, Stan D.Augustynowicz, Frank N.Werfel, and Edward C. Bonnema, "Development of an Energy Efficient Cryogenic Transfer Line with Magnetic Suspension," Advances in Cryogenic Engineering: Transactions of the Cryogenic Engineering Conference - CEC, American Institute of Physics, Vol. 51A, 2006, pp. 531-538. P. Chowdhuri, C. Pallem, J.A. Demko and M.J. Gouge, "Feasibility of Electric Power Transmission by DC Superconducting Cables," IEEE Transactions On Applied Superconductivity, Vol. 15, No. 4, December 2005, pp. 3917-3926. P. Chowdhuri, C. Pallem, J.A. Demko and M.J. Gouge, "Analysis on the Transient Voltage Performance of a DC Superconducting Cable," IEEE Transactions On Applied Superconductivity, Vol. 16, No. 1, March 2006, pp. 21-30. P. Chowdhuri, C. Pallem, J.A. Demko and M.J. Gouge, "Parametric Effects on the Transient Voltage Performance of a DC Superconducting Cable," IEEE Transactions On Applied Superconductivity, Vol. 16, No. 1, March 2006, pp. 31-37. M.J. Gouge, D.T Lindsay, J.A. Demko, R.C Duckworth, A.R Ellis, P.W. Fisher, D.R. James, J.W. Lue, M.L Roden, I. Sauers, J.C. Tolbert, C. Traeholt, D. Willen, "Tests of Tri-Axial HTS Cables," IEEE Transactions on Applied Superconductivity, Vol. 15, Issue 2, June 2005, pp.1827 - 1830. J.A. Demko, J.W. Lue, R.C. Duckworth, M.A. Young, M.J. Gouge, D. Lindsay, J. Tolbert, M. Roden, D. Willen, C. Traeholt, "Testing of a 1.5-m Single-Phase Short-Sample Cable Made With Copper Laminated HTS Tapes at ORNL," IEEE Transactions on Applied Superconductivity, Vol. 15, Issue 2, June 2005, pp. 1755 - 1758. M.A. Young, M.J ;Gouge, M.O. Pace, J.A. Demko, R.C. Duckworth, J.W. Lue, A. Fathy, "An Investigation of the Current Distribution in the Triaxial Cable and Its Operational Impacts on a Power System," IEEE Transactions on Applied Superconductivity, Vol. 15, Issue 2, June 2005 pp. 1751 - 1754. Q.S Shu, G.F. Cheng, J. Susta, D .Li, J.R. Hull, J.A.Demko, C.P.Britcher, J.E Fesmire, S.D.Augustynowicz, F.Werfel, E.C. Bonnema, "A Six-Meter Long Prototype of the Mag-Lev Cryogen Transfer Line," IEEE Transactions on Applied Superconductivity, Vol. 15, Issue 2, June 2005, pp. 2297 - 2300. J.A. Demko, J.W. Lue, M.J. Gouge, P.W. Fisher, D. Lindsay, M. Roden, "Analysis of a Liquid Nitrogen Cooled Tri-Axial High Temperature Superconducting Cable System", Advances in Cryogenic Engineering, Vol. 49A, American Institute of Physics, 2004, pp 913-920. R.C. Duckworth, J.A. Demko, M.J. Gouge, S.W. Schwenterly, "Measurement of the Emissivity of Various Clean and Contaminated Metallic Surfaces Between 20 K and 70 K" Abstract submitted to the Cryogenic Engineering Conference, Anchorage, AK, September 2003. P.W. Fisher, M.J. Cole, J.A. Demko, M.J. Gouge, J.W. Lue, A.L. Qualls, M.L. Roden, D.T. Lindsay, J.C. Tolbert, "Tri-Axial Cable Terminations for 1.3 and 3 kA HTS Cables" Advances in Cryogenic Engineering, Vol. 49A, American Institute of Physics, 2004, pp. 892-898. M.J. Gouge, J.W. Lue, J.A. Demko, R.C. Duckworth, P.W. Fisher, M. Daumling, D.T. Lindsay, M.L. Roden , J.C. Tolbert, "Testing of a 1-m HTS Cable Made from YBCO Tapes" Advances in Cryogenic Engineering, Vol. 49A, American Institute of Physics, 2004, pp 885-891. J.W. Lue, J.A. Demko, P.W. Fisher, R.C. Duckworth, M.J. Gouge, J.C. Tolbert, M.L. Roden, D.T. Lindsay, "Tests of 5-m Long Triaxial HTS Cables" Advances in Cryogenic Engineering, Vol. 49A, American Institute of Physics, 2004, pp. 877-884. S.W. Schwenterly, M.J. Cole, J.A. Demko, D.W. Hazelton, "Design and Operating Performance of Cryocooled Helium Loops for HTS Transformers" Advances in Cryogenic Engineering, Vol. 49A, American Institute of Physics, 2004, pp. 839-848. Q.S. Shu, G. Cheng, K. Yu, J.R. Hull, J.A. Demko, C.P. Britcher, J.E. Fesmire, S.D. Augustynowicz, "Energy Efficient Cryogenic Transfer Line with Magnetic Suspension," Advances in Cryogenic Engineering, Vol. 49B, American Institute of Physics, 2004, pp. 1869-1876. M.A. Young, M.O. Pace, J.W. Lue, J.A. Demko, R.C. Duckworth, M.J. Gouge, "Burn-Out Tests of 1st and 2nd Generation HTS Tapes in Liquid Nitrogen Bath Cooling," Advances in Cryogenic Engineering Materials, Vol. 50B, American Institute of Physics, 2004, pp. 860-867. M. J. Gouge, M. J. Cole, J. A. Demko, P. W. Fisher, C. A. Foster, R. Grabovickic, D. T. Lindsay, J. W. Lue, M. L. Roden, J. C. Tolbert, "High-Temperature Superconducting Tri-Axial Power Cable," Physica C, 392-396 (2003), pp. 1180-1185. J.A. Demko, J.W. Lue, M.J. Gouge, D. Lindsay, M. Roden, D. Willen, M. Daumling, J.E. Fesmire, S.D. Augustynowicz, "Cryostat vacuum thermal considerations for HTS power transmission cable systems," IEEE Transactions on Applied Superconductivity, Vol. 13, Issue 2, June 2003, pp. 1930 -1933. P.W Fisher, M.J. Cole, J.A. Demko, C.A. Foster, M.J. Gouge, R.W. Grabovickic, J.W. Lue, J.P Stovall, D.T. Lindsay, M.L Roden, J.C. Tolbert, "Design, analysis, and fabrication of a tri-axial cable system," IEEE Transactions on Applied Superconductivity, Vol. 13, Issue 2, June 2003, pp. 1938 -1941. R. Grabovickic, J.W. Lue, M.J. Gouge, J.A. Demko, R.C. Duckworth, Measurements of temperature dependence of the stability and quench propagation of a 20-cm-long RABiTS Y-Ba-Cu-O tape, IEEE Transactions on Applied Superconductivity, Vol, 13, Issue 2, June 2003, pp 1726 -1730. M.A.Young, J.A.Demko, M.J Gouge, M.O Pace, J.W. Lue, R. Grabovickic, "Measurements of the performance of BSCCO HTS tape under magnetic fields with a cryocooled test rig," IEEE Transactions on Applied Superconductivity, Vol. 13, Issue 2, June 2003, pp 2964 -2967. J. A. Demko, "Thermal Management of High-Temperature Superconducting Power Cables", Proceedings of the Space Technology and Applications International Forum-STAIF 2002, edited by M.S. El-Genk, American Institute of Physics, 2002, pp. 1146-1153. J. P. Stovall, et al., "Operating Experience with the Southwire 30-meter High Temperature Superconducting Power Cable", Advances in Cryogenic Engineering, Vol. 47A, American Institute of Physics, 2002, pp. 591-598. J. W. Lue, J. A. Demko, J. C. Tolbert, U. K. Sinha, R. Grabovickic, G. C. Barber, M. J. Gouge, D. Lindsay, and R. L. Hughey, "Electrical Tests Of A Tri-Axial HTS Cable Prototype", Advances in Cryogenic Engineering, Vol. 47A, American Institute of Physics, 2002, pp. 606-613. J. E. Fesmire, S. D. Augustynowicz, and J. A. Demko, "Overall Thermal Performance of Flexible Piping Under Simulated Bending Conditions", Advances in Cryogenic Engineering, Vol. 47A, American Institute of Physics, 2002, pp.1525-1532. J. E. Fesmire, S. D. Augustynowicz, and J. A. Demko, "Thermal Insulation Performance Of Flexible Piping for Use in HTS Power Cables", Advances in Cryogenic Engineering, Vol. 47A, American Institute of Physics, 2002, pp. 1533-1540. J. A. Demko, J. W. Lue, M. J. Gouge, P. W. Fisher, J. P. Stovall, J. Tolbert, D. Lindsay, M. Roden, U. Sinha, and R. L. Hughey, "Performance Tests of an HTS Power Transmission Cable Splice", Advances in Cryogenic Engineering, Vol. 47A, American Institute of Physics, 2002, pp. 599-605. J. A. Demko, J. W. Lue, M. J. Gouge, J. P. Stovall, Z. Butterworth, R. L. Hughey, D. Lindsay, M. Roden, and U. Sinha, "Acceptance Test And Operation of the Southwire Company 30-M High-Temperature Superconducting Cable Cryogenic System," Advances in Cryogenic Engineering, Vol. 47A, American Institute of Physics, 2002, pp. 180-187. J. A. Demko, J. W. Lue, M. J. Gouge, J. P. Stovall, Z. Butterworth, U. Sinha, and R. L. Hughey, "Practical AC Loss and Thermal Considerations for HTS Power Transmission Cable Systems", IEEE Transactions on Applied Superconductivity, Vol. 11, Issue 1, Part 2, March 2001 , pp. 1789 -1792. NASA Software Initial Award, "For contributing to the development of scientific or technical software, which has been approved for release by NASA, entitled Thermal Insulation System Analysis Tool - FORTRAN update KSC-13561," February 2011. Certificate of Recognition from NASA, for creative development of technically significant software which has been accepted and approved by NASA entitled, "Design tool for thermal insulation systems," May 2009. UT-Battelle LLC Engineering R&D Team Award for Triaxial HTS Cable Project Team, November 2006. DOE Superconductivity Program Peer Review Exceptional Accomplishment in recognition of the presentation "High Temperature Superconducting Power Cable," This project was found to be exceptionally well-managed and to have achieved outstanding results, October 2006. ORNL, Significant Event Award, "For the development, fabrication, assembly, and testing of a 3-kA, tri-axial, high-temperature superconducting cable and terminations." September 2005. DOE Superconductivity Program Peer Review Significant Accomplishment in recognition of the presentation "High Temperature Superconducting Power Cable," This project was found to be well-managed and to have achieved excellent results, October 2004. DOE Superconductivity Program Peer Review Exceptional Accomplishment in recognition of the presentation "High Temperature Superconducting Cable," This project was found to be exceptionally well-managed and to have achieved outstanding results, October 2003. Significant Event Award, Oak Ridge National Laboratory Fusion Energy Division, For contributions to the development of an innovative compact high-temperature superconducting power cable concept that dramatically reduces the amount of conductor compared to standard configurations, March 2001. Significant Event Award, Oak Ridge National Laboratory Fusion Energy Division, March 2000 - For participation in the design, installation and testing of the worlds first HTS power delivery system at Southwire Co. plant in Carrollton, GA.
UT-Battelle LLC Technical Achievement Award for HTS Cable Project Team, November 2000. UT-Battelle LLC Engineer of the Year Award for HTS Cable Project Team, November 2000. Federal Laboratory Consortium for Technology Transfer, Southeast Region Excellence in Technology Transfer Award, Nov. 7, 2000. Significant Event Award, Oak Ridge National Laboratory Fusion Energy Division, March 1999 - For participation in the set-up of the HTS cable test facility and testing of 5-meter HTS cables. Certificate of Recognition from NASA, for creative development of a technical innovation regarding, "The incompressible flow in labyrinth seals," July 1984.